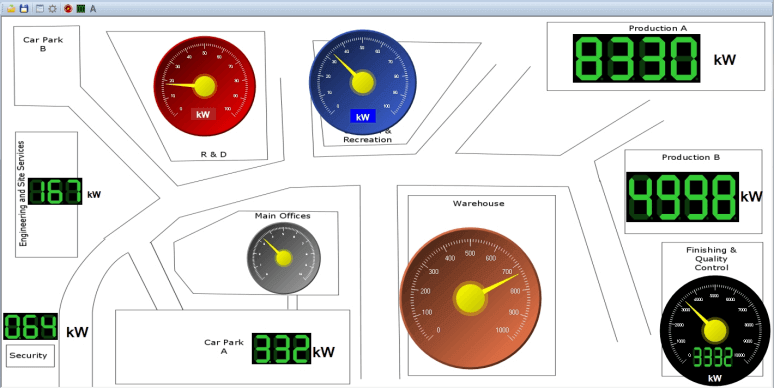 AtlasEVO Energy Management and Smart Metering Systems enable users to monitor & analyse energy usage data from any number of electricity, gas, water or other resource metering points. Gain a better understanding of your site's energy use and help meet ISO50001 or ESOS (Energy Savings Opportunity Scheme) obligations. 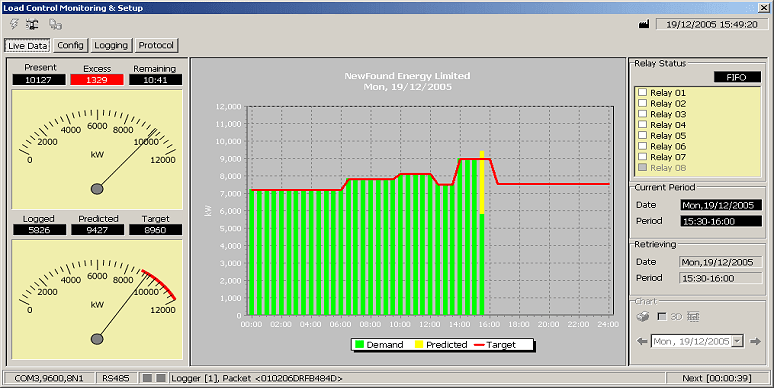 The ATLAS Load / Maximum Demand Control System operates on a predictive basis to control a site's electrical period demand (kW or kVA) to a user set target level. 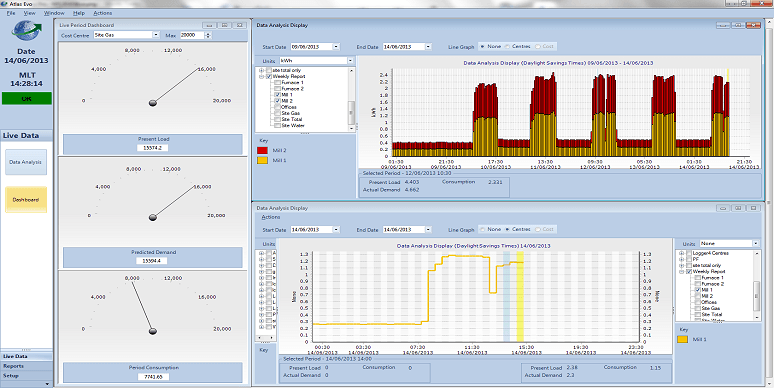 Automatically limit your site's period demand to contracted supply capacity, to meet Electricity Demand Reduction (EDR) Scheme or Demand Side Management (DSM) requirements. Contact us now for more information on any of our systems. A range of portable single phase & three phase energy monitors, recorders & loggers for temporary energy monitoring needs or survey use. With easy and safe to install equipment, energy usage surveys can be performed on a site's main electrical supply or at individual machine level. (Read more on Portable Energy Monitors). A range of low cost & smart electricity meters, gas meters & water meters are available to suit all requirements. Simple, low cost pulsing meters compliment the AtlasEVO Smart Metering Systems while smart meters with inbuilt web servers or Modbus communications allow direct interrogation by suitable software systems. For those wanting to perform more in-depth, advanced power quality studies we have a range of single and three phase voltage and power quality analysers. These units will measure and record voltage fluctuations, harmonics, transient waveforms & more to help identify problem areas that could cause equipment malfunctions or failure.